This one. She is tiny but mighty. She is a blend of inspiration, radical truth, white hot love, and hearty laugh. You can find her online at her blog, Mommy Honesty. Meet Sara. What is your superpower? I can magically remove pain from my kiddo’s owies with a snuggle and one kiss. It’s pretty amazing. Who do you adore? I adore my family and friends who feel like family. They lift me up and expand my heart. Describe your brave heart outfit. Anything layered with a cardigan. Something about being wrapped up in a sweater makes me feel sheltered, cozy, happy and put-together. What book has shaped you? The Rhythm of Life by Matthew Kelly. What is your favorite movie? If I’m trying to be impressive: Sense and Sensibility. If I’m totally transparent: Stepbrothers. What was the best trip ever? Any time my husband and I get away just the two of us is pretty fantastic. Walking with him through a city, taking our time, eating lots of yummy things and discovering new adventures. It doesn’t happen often, but whenever it does, it’s always the best trip ever. What is the best gift you’ve received? Last April, I had radioactive iodine treatment to combat thyroid cancer. To prepare for that, I had to go on a diet that kept me from most of my favorite foods, including my most absolute favorite: cheese. Once it was all over, my aunt and uncle in Florida sent me a glorious cheese basket with varieties from all over the world. It was decadent and thoughtful and over-the-top delicious. And it made me feel very loved. What is the ultimate party? A small gathering with good food and conversation and no time limit. What/where is your happy place? Michigan. Who do you secretly want to be? A calmer and more confident version of myself. How has your work changed you? It has made me a more understanding person and cracked my mind wide open. It taught me that people are so much more than the choices they’ve made. What fuels you? The desire for my kids to have a well-rounded life and for a close-knit family. What’s the best advice you were given about your work? Take care of yourself because you have to be nurtured in order to nurture anyone else. What is your shelter/refuge? The Adoration Chapel at The Cathedral of Christ the King in Lexington. My heart craves that room, even if I can only go for a few minutes. I always walk out with a heart full of grace and peace. What is your favorite word? Peace. I secretly love… the stinky stale drool/sweat smell in my son’s hair after he wakes up from a good nap. What are the tools of your trade? Coffee, endurance, and quiet time. What are you scared of? 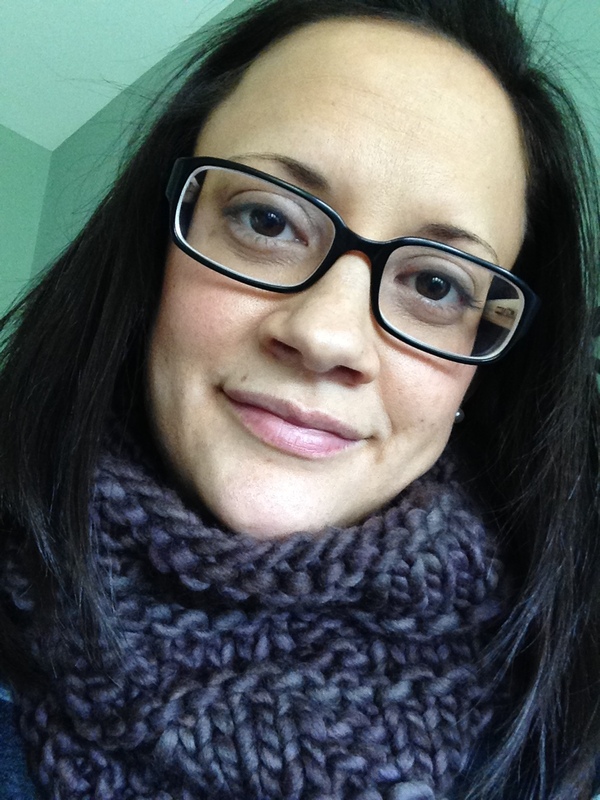 The permanent uncertainty of cancer. What did you study? In college: police administration. (What in the world???) I would definitely take a do-over for that one. What is one outrageous thing you’d love to own? An Imperial restaurant grade 48”gas range with 8 burners and a double oven. What gives you courage? My children. Just when I feel like shutting out the world because it’s too harsh and dangerous and awful, they give me the strength to dig deep and find hope and beauty around us. Even in the most terrible circumstances, it’s there. What is your most cherished thing? My faith. How would your BFF describe you? Tenacious, compassionate, funny, understanding. What do you want the world to know about your work? From my former work as a full-time advocate: Whatever you see portrayed about a case or situation in (social) media is NEVER the full picture of the reality of someone’s life and the choices they have made. Judgement, especially in the form of tweets and snarky comments, is not for us in those times. Only our compassion and prayers are needed. 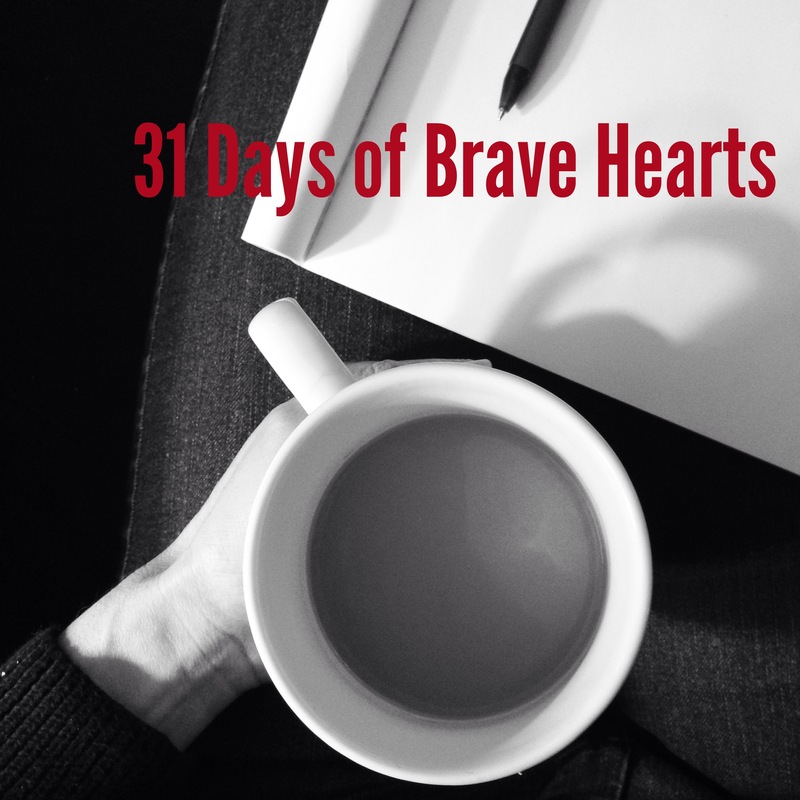 Meet other Brave Hearts like Sara at 31 Days of Brave Hearts. Posted on October 8, 2014 by tspletcher	This entry was posted in Uncategorized. Bookmark the permalink. Step-brothers is pretty freakin great:)…..and love the cheese basket….hope it made you all better!